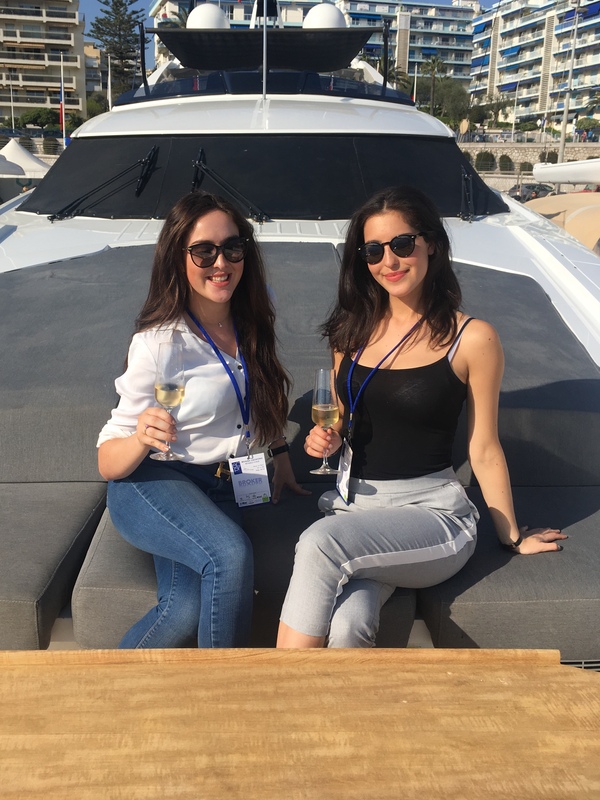 My day as a VIP began, along with some of the other Boatbookings team members, from the old Port of Cannes – a delightful port that welcomes prestigious yachts, and also small authentic fishing boats. 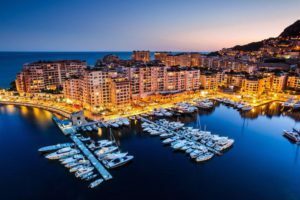 A group of us were going through the motions of a typical French Riviera day charter, such that we could greater understand the day charters our clients enjoy. 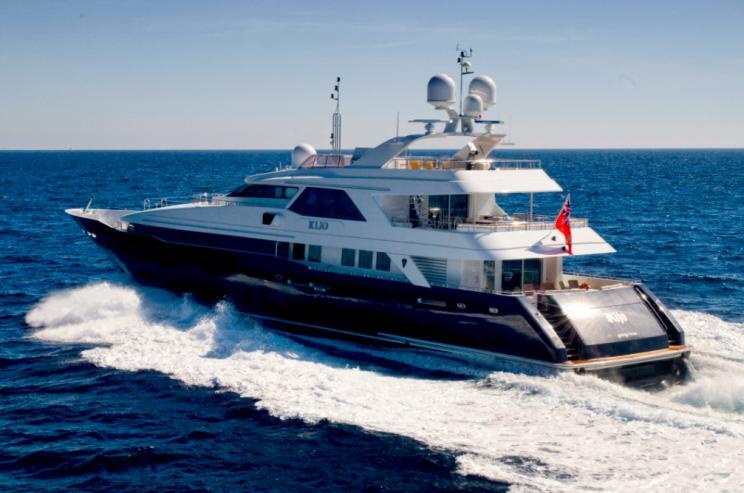 At 10 o’clock we boarded the Prestige 500s, a sleek day charter yacht of 16 metres. Once settled, we started cruising across the bay of Cannes, and within 15 min we arrived at the Iles des Lérins, the two islands just off the coast of Cannes. Between the two islands, the captain dropped anchor such that we could have a swim! On one side we had the island of Saint-Honorat, an impressive backdrop with the imposing Cistercian monastery. On the other side, the island of Santa Margherita is covered by a forest of pines and eucalyptus whose perfumes reached us on the water. All around us, the sea was all sorts of shades of blue. Who would have thought that we were just a few minutes from the glamorous and chic Cannes? Here the atmosphere was of peace, beauty and unspoiled nature. 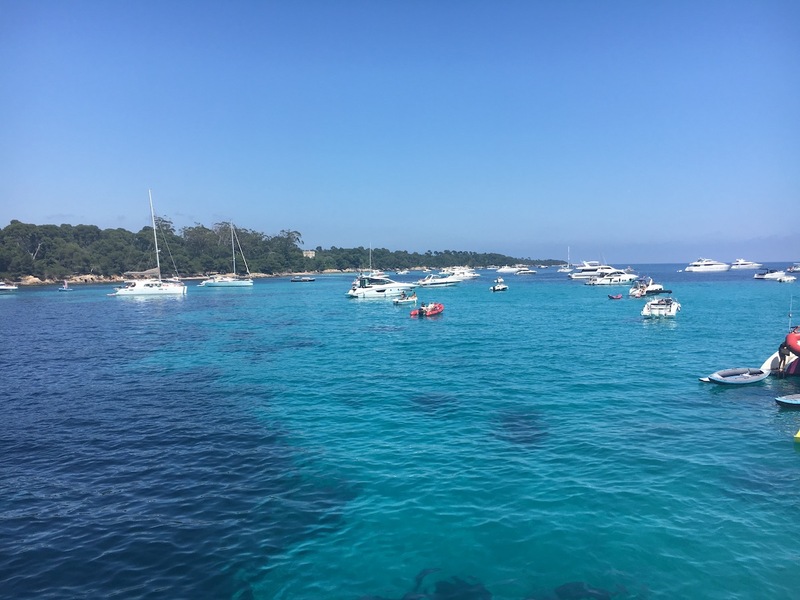 The aquamarine waters of the Iles Des Lerins really are that colour! Immersed in this breathtaking landscape, the crew offered us an exquisite breakfast, made of croissants, pain au chocolat, coffees and water. (They then offered us towels, other soft drinks and snacks for the rest of the day – we were spoilt.) When we finished breakfast, we went for a swim in the crystal-clear, turquoise waters. After an hour, we set off cruising East the coast towards Monaco. We passed right in front of the wonderful Gulf of Juan les Pins, the Cap D’Antibes and Nice. From the yacht we admired the beautiful villas surrounded by the Mediterranean nature, as well as the magnificent yachts that we met on our way. We stopped in the bay of Villefranche-sur-mer. Here the sea was incredibly calm and flat. This is a very popular destination along the Riviera for yachts and sailing boats, and we often recommend our clients to drop anchor here. Along the coast, there was the delightful (village/small town) of Villefranche-sur-mer with its picturesque houses painted in bright colours. We had a quick swim here and then headed off again towards our lunch destination. 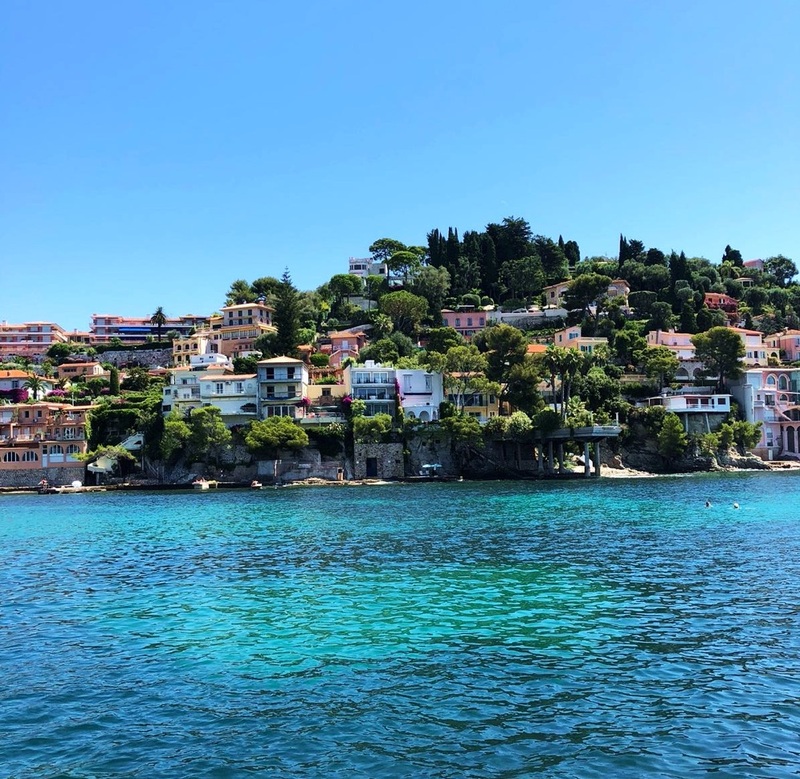 We passed Saint Jean Cap-Ferrat and arrived in the bay of Eze Sur Mer where our captain called the tender for our restaurant of choice, Anjuna bay. We landed on the beach like real VIPs or almost, and we sat down at our table that had an amazing view of the sea. 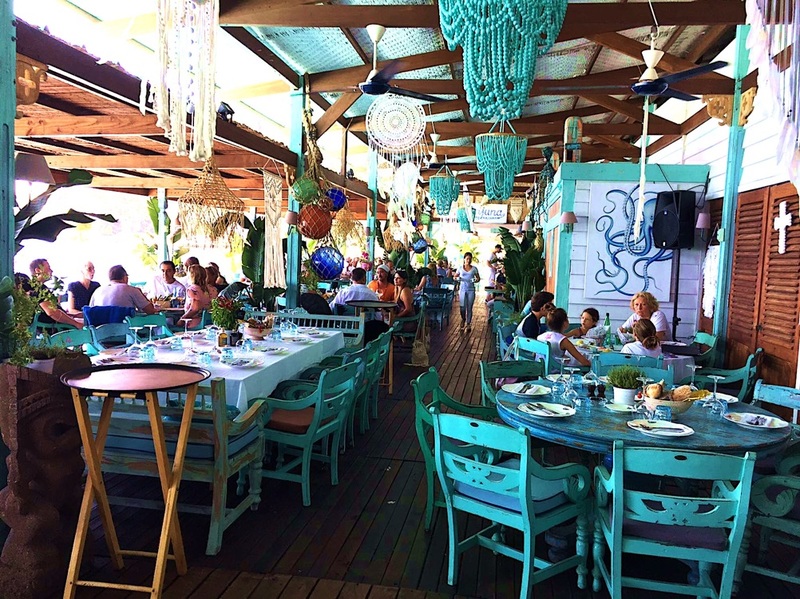 The restaurant was decorated in a nautical, shabby style. The eclectic decor at Anjuna Beach, Eze sur Mer. We had a wonderful and relaxing lunch, chatting and laughing and soon realised that the time had come to embark our yacht once again, and head back to Cannes. At 5 o’clock we went back on board and started cruising towards Cannes with the sun slowly descending. We enjoyed the view of the French Riviera coast once again, impressive as it is, from the comfort of our private boat. Arriving in Cannes, we disembarked around 6pm from the Old Port of Cannes – all very excitable about the magnificent day we had just had! Working at Boatbookings, you very quickly learn that you are in a collaborative, team-focused environment and this day was no exception. Spending a day out of the office with my colleagues was a fantastic way to get to know them a lot better, and also the business of yacht chartering! I very much look forward to joining the Boatbookings team full time in London, upon graduation. June 14th was a special day during my internship at Boatbookings. 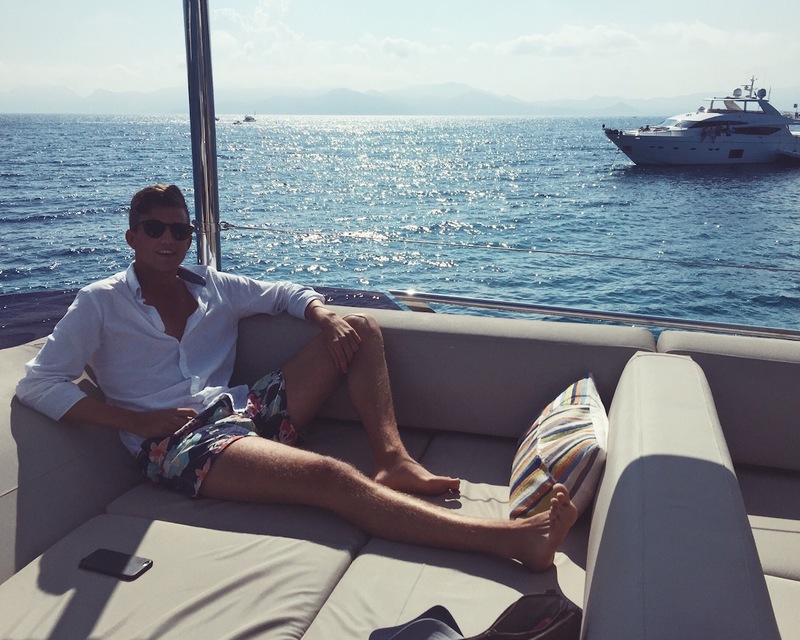 After spending a couple of hours in our office in Cannes, I headed to Antibes to meet Broker Ben, who had spent the morning meeting some of his clients for their embarkation. We headed to Port Vauban for a brokers’ day out on REHAB – one of our all-time favourite day charter yachts along the French Riviera. Broker days are organised by the owners of the yachts such that the Brokers can get to know the boat and its crew better. We were greeted on board REHAB by the fantastic crew made up of Captain Chris and Stewardess Justine. 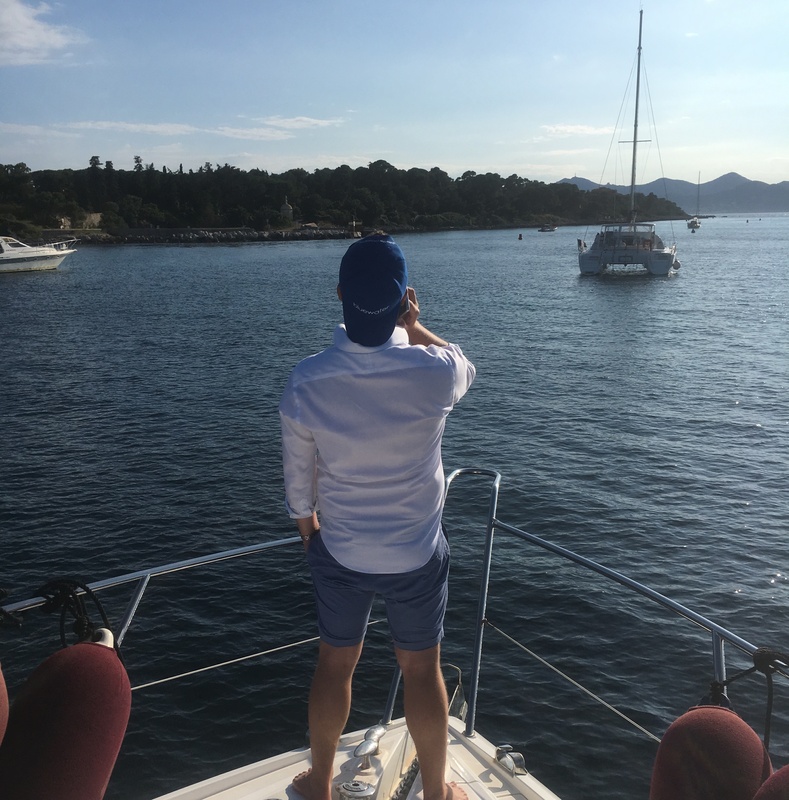 Once the other brokers arrived and had settled in, we headed west, past the stunning Cap D’Antibes, towards Cannes and the beautiful Iles de Lérins. The islands are an incredibly popular destination thanks to the crystal-clear water, making them the perfect place to drop anchor, relax and swim. As it was still early in the season, we were able to experience the beauty of the islands without many other people there. Broker Ben, always chatting to clients! Once we had found the perfect spot to anchor, our lovely hosts had prepared a quiz for us. As brokers are of the competitive kind, it’s not like us to ever back down from a challenge, so we quickly got into our teams, boys vs. girls of course, and the game of 20 questions commenced. After a mix of technical questions about REHAB and other yachts, as well as general knowledge questions about the industry, the girls came out on top! 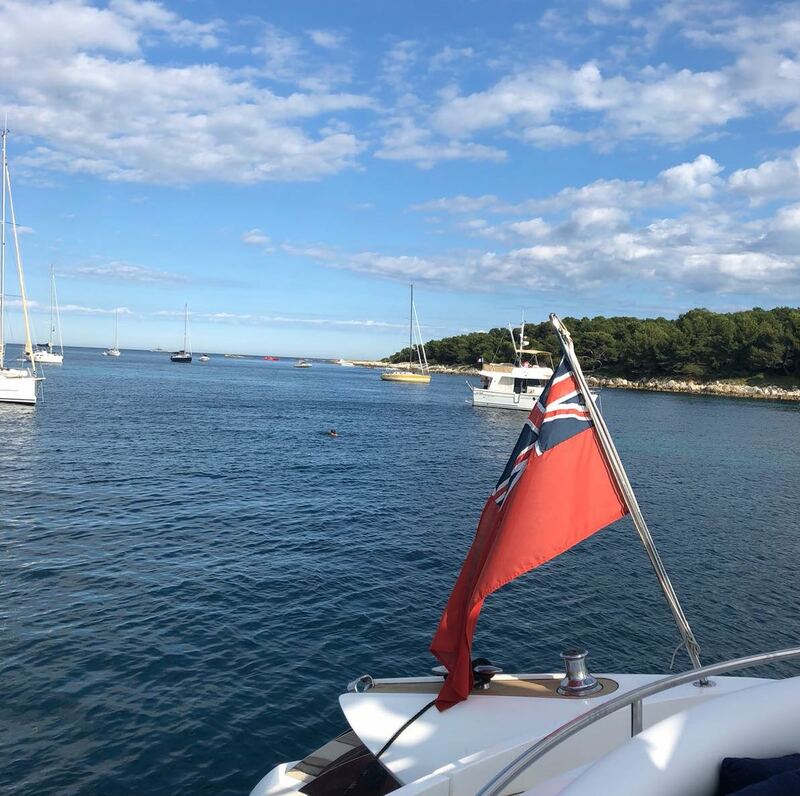 In the afternoon, everyone enjoyed relaxing on board this stunning Sunseeker yacht, whilst indulging in French crudité platters overflowing with local cheeses, baguettes and olives beautifully prepared by Justine. It was incredibly interesting meeting other people from the Industry and getting to know the faces behind the names. As the day came to an end, we cruised back towards Port Vauban past the stunning villas on the Cap d’Antibes. Anna taking in the views from the bow. This day was a fantastic way to get a taste of what Boatbookings’ clients experience, whilst also getting to know REHAB and it’s lovely crew as well as the other Brokers. I will be forever grateful for the opportunity to talk to so many fascinating people – is there a better place to mingle than aboard a beautiful yacht? 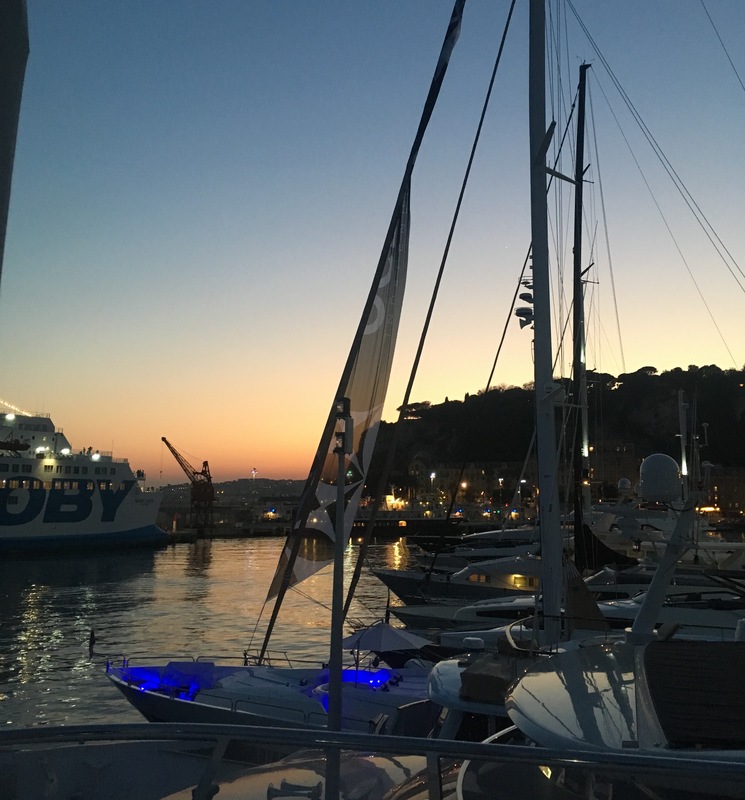 On a beautiful sunny day in April, the Boatbookings team took the morning train from our Cannes office to the Port of Nice for the ECPY Yacht Show, which featured a myriad of charter boats, including huge luxury motor yachts and crewed sailing yachts. Upon arrival, we were given our official Brokers badges and split up into two teams for yacht viewings. It was a fantastic opportunity to see the very best of what was on offer and discuss within the team what we loved about the boats and which we would most likely recommend to clients. Stepping on board the yachts, it became clear that chartering is unlike any holiday experience you could imagine! The interiors of some of the Motor Yachts were truly stunning, each with their own unique style and characteristics; from green marble floors to disco-like karaoke rooms and winding metallic staircases, each yacht had its own surprise that made it as memorable as the last. One of the most spectacular yachts we had visited had to be KIJO – with Southern Pacific inspired decor of light bamboo and neutral browns, it was confident in its style and was something I had never seen before! The crew on board were outstanding, with the chief stewardess being passionate about the boat and making it clear that she went above and beyond to make guests have the best time on board. The chef had laid out an amazing selection of nibbles and the boat was in immaculate condition! After a day of viewings, the team finally came together once again to discuss the highlights of the show; it was amazing to hear how the Brokers really dug into the details of every aspect of the yacht to know it inside and out, in order to be able to make the best recommendations to clients. After 6 pm, the official show wound down and the yachts went into aperitif mode! 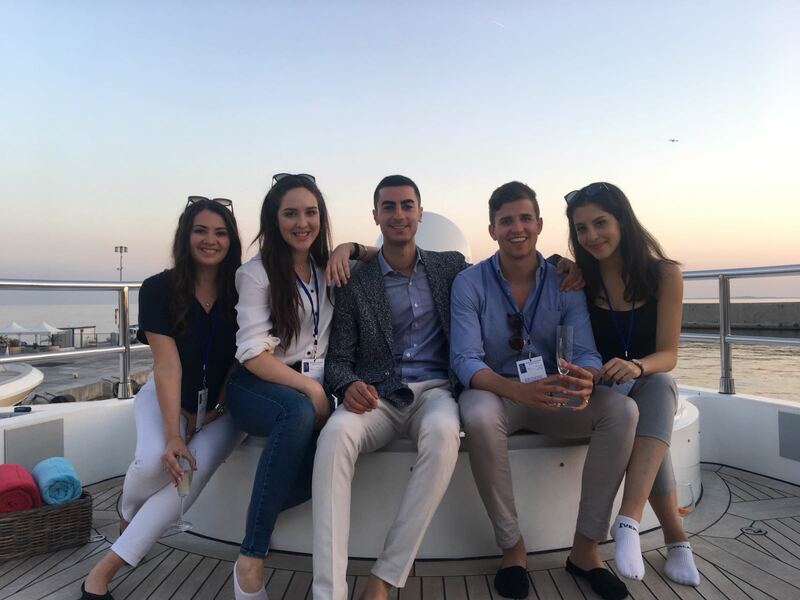 We were invited onto the yachts for a glass of champagne and to relax and enjoy the evening, as if in our client’s shoes. The service was impeccable and it was a great opportunity to network and speak to others from within the industry – with music flowing from the aft deck, cocktails being served and canapés appearing from the galley, it was truly an evening of luxury in the most stunning setting! 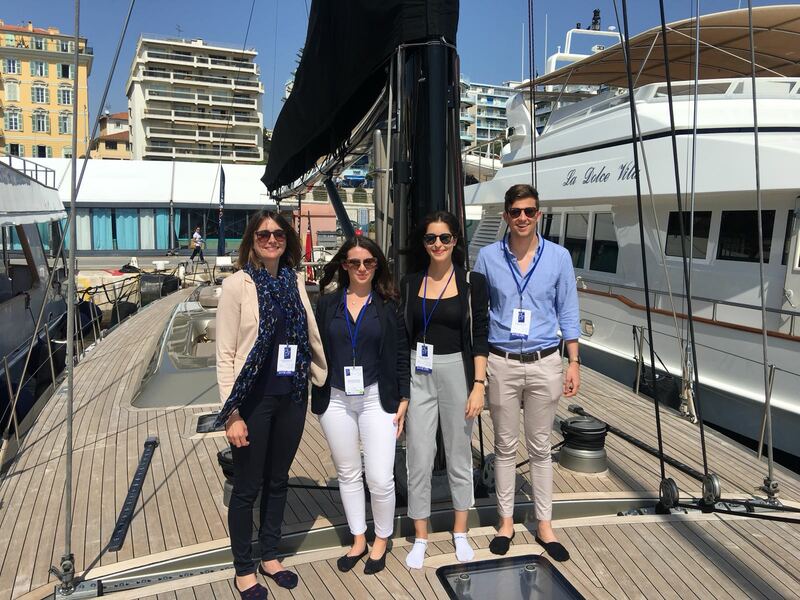 Being able to meet other young professionals in the industry, as well as yacht crews, and central agents gave us all a real insight into the inner workings of the industry, and it was a wonderful experience touring the yachts with the senior brokers! Boatbookings gives interns a hands-on experience of the industry, offering responsibility that few other internships can beat. This blog continues the ‘day in the life’ series, as a Boatbookings intern. A highlight of my internship was my first ever ‘fam trip’ (familiarisation trip) on board the M/Y SHAWLIFE on Friday 1st June. Fam trips are organised by yacht owners as a way for brokers to gain an understanding of the benefits of different yachts, such that they can better sell them to their clients. Embarkation was at 10am in Port Vauban, Antibes, one of the largest ports in Europe! This quaint town is lined with stone walls and set between Nice and Cannes – the ideal location to start a day charter. 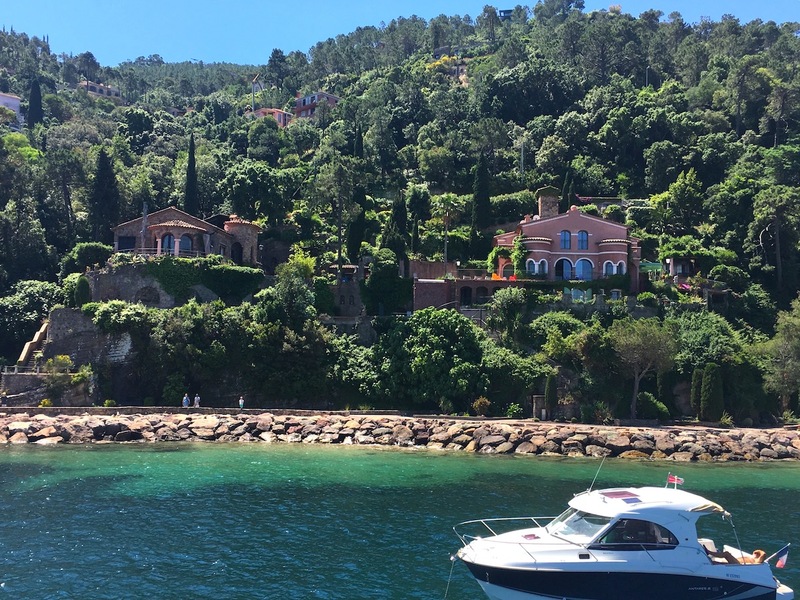 Here, I joined 6 other brokers on an unforgettable day along the French Riviera. After a quick tour by the owner of the stunning 2016 70ft motor yacht, we set off on our French Riviera adventure. 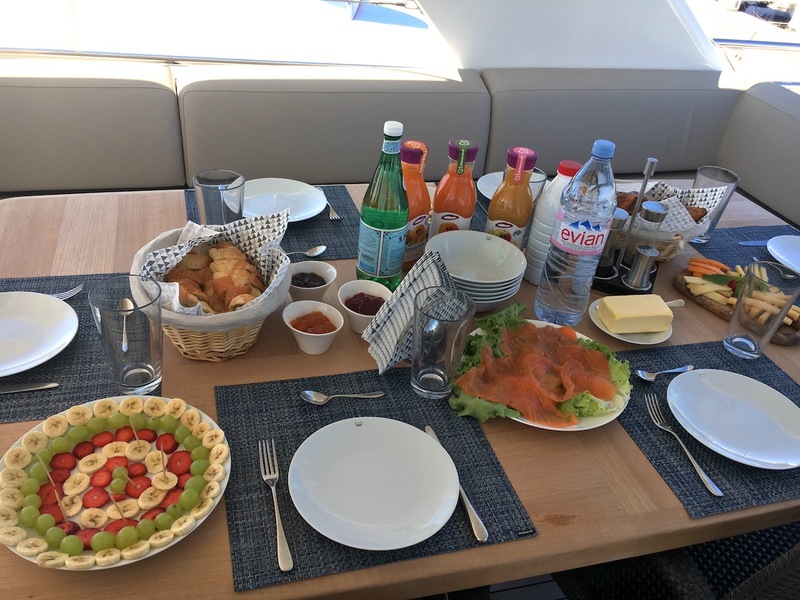 As we left Antibes, we headed up to the flybridge for a delicious brunch, including bacon, eggs, pastries, smoked salmon and fruit – all prepared by the fantastic crew! Leaving Antibes and heading past the Cap D’Antibes was choppy, but the sunshine and food more than made up for it and everyone was in good spirits. After the short cruise past Cannes towards Théoule sur Mer, we anchored very close to the shore to take in the scenery and enjoy the fantastic weather. 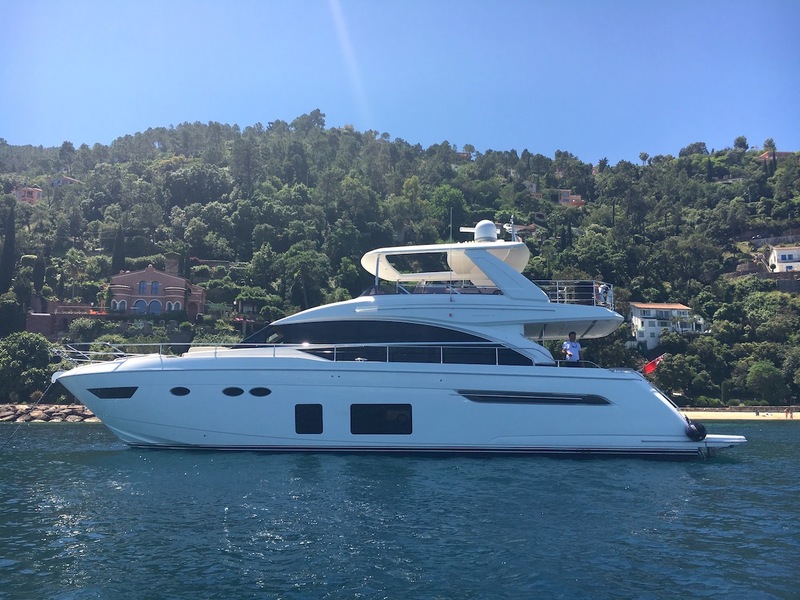 The owner of the yacht was very keen to show us all of the highlights of the yacht, such as the beds that electrically convert from double to single – ideal for family charters, or groups of friends. He really wanted us to enjoy the yacht as much as he did – his passion was truly infectious. After a quick tour of the bay of Théoule, its restaurants and SHAWLIFE’s exterior from the tender, we headed to the Îles des Lérins, the stunning islands steeped in history and famed for their crystal-clear, cerulean waters. This was where the real fun began as the water toys were brought out and the champagne opened. We anchored here for the rest of the afternoon, enjoying the scenery, swimming in the cool water and trying out the sea bobs. After a late BBQ lunch, I was getting a little conscious of the time, as we were meant to be back in Antibes (and I had a flight to catch!). 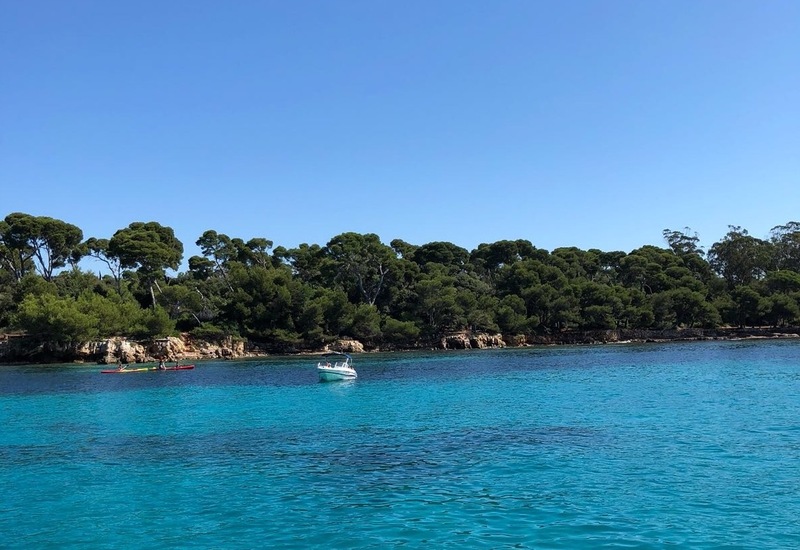 When it was time to leave, we cruised slowly through the islands before heading full speed towards Saint Laurent du Var, the nearest port to the airport. 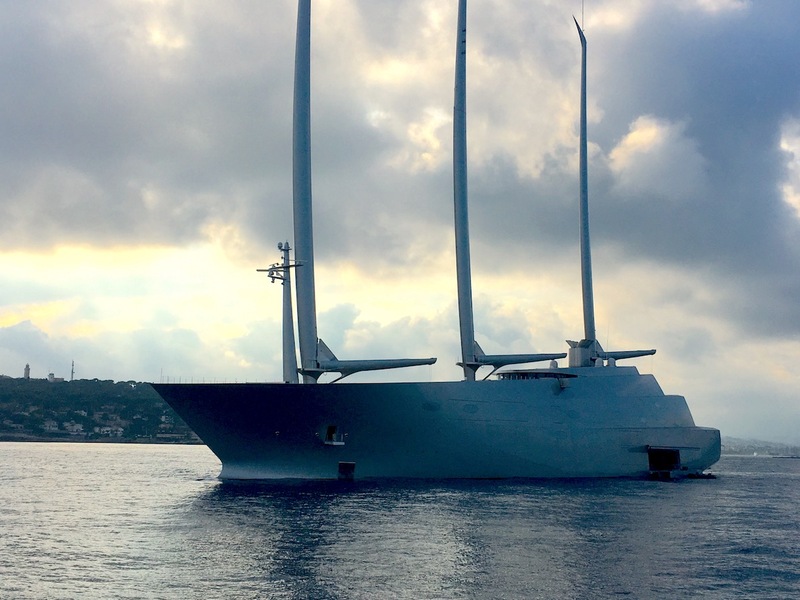 This was great fun, as we were going about 30 knots and we managed to see the fabulous 143-meter sailing yacht ‘A’, the largest private sail-assisted motor yacht in the world! We arrived at the port of St Laurent du Var for disembarkation and myself and one of the other brokers headed off to the airport. The day was a really great way to see exactly how clients finish their holidays, disembarking by the airport. SHAWLIFE truly is a stunning yacht and having been on board, she is definitely one of my favourite yachts based on the French Riviera! Intern Rob, enjoying the sunshine from the Flybridge! Being able to meet other brokers, as well as the owner of this gorgeous yacht is an experience I will treasure and appreciate forever. Boatbookings gives interns a hands-on experience of the industry, offering responsibility that few other internships can beat. This is only topped by being surrounded by others who are passionate about their jobs and, of course, the opportunity to spend the day on a yacht! For four dates throughout July and August, the famous Nikki Beach along St Tropez‘s Ramateulle area will be graced by four Michelin Starred Chefs, showcasing their talents and creating culinary masterpieces for diners. This special treat is exclusively run at Nikki Beach; luckily we have day charters from Cannes, St Tropez and other locations on the French Riviera, so getting to Nikki Beach will be a breeze! Gilles Goujon is the first chef to showcase his skills; he is the owner of the 3 Michelin Starred L’Auberge du Vieux Puits in Fontjoncourse and a perfectionist when it comes to producing his divine dishes. His speciality creations are exquisitely presented and envisioned with careful consideration of complementary flavours and true mastery. 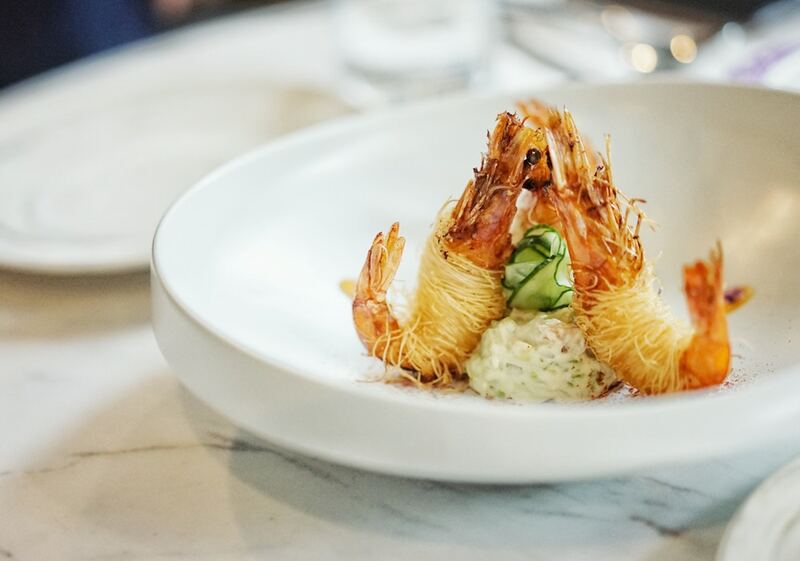 Head Chef of Le Grand Restaurant in Paris, as well as Clover and Clover Grill, Jean François Piège is renowned for his dedication to placing the ingredient at the core of cultivating his creations. 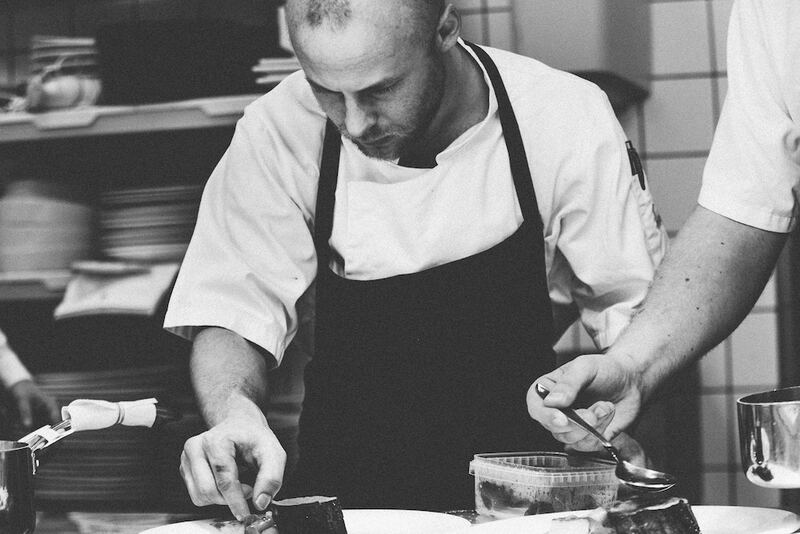 He has an extensive history working in top restaurants and being inspired by famous chefs such as Alain Ducasse and Bruno Cirino. ‘Maître Restaurateur’ Régis Marcon is the owner of the three Michelin starred restaurant Le Clos des Cimes in Saint-Bonnet-le-Froid in the Haute-Loire. His cooking style places emphasis on French local produce such as mushrooms (the emblem of the restaurant), chestnuts and puy lentils. His culinary expertise is such to amaze all those who are lucky enough to sample his dishes at Nikki Beach, for one day only. In 2012, Emmanuel Renaut was named ‘cooking chef of the year’; owner of three Michelin Starred Restaurant Les Flocons de Sel, he is a celebrated chef who is sure to surprise and tantalise each person who tastes his gourmet culinary creations. With veritable precision and attention to detail in everything he does, be sure not to miss this opportunity sample an amazing meal. Our Cannes and St Tropez day charter yachts are the best way to travel to Nikki Beach in style and prepare for an incredible day filled with delectable food and stunning views. The French Riviera is famous for its glistening turquoise water, golden beaches, Mediterranean culture and views that you just wouldn’t find elsewhere. The Cote d’Azur is the perfect composition of sun, sea and serenity, with the picturesque scenes of sailboats gently bobbing along; the rows of sunbeds nestled into the invitingly dazzling coastlines; high end shops and artisan districts that seem to clash yet complement each other so beautifully, resulting in a burst of colourful culture secreted within the bejewelled exterior of the French Riviera. You would think the Cote d’Azur was expertly tailored to suit those who seek a holiday for the luxuries, the materials, the sunbathing and the relaxation. Monaco, in all its twinkling glory! However, there is a side to the French Riviera that has only recently started to make an appearance; the Cote d’Azur has a surprisingly vast amount of adrenaline fuelled activities, such as wakeboarding, windsurfing, SCUBA as well as freediving. 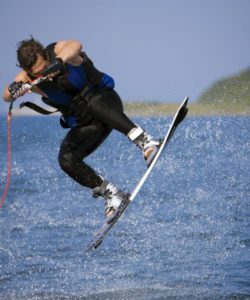 The serene imagery of the tranquil, bronzing vacations can be completely left behind in the foaming, turbulent wake of a water-skier being dragged along effortlessly by a high-speed RIB. The hustle and bustle of the thousands of holidaymakers, flocking to the allure of the sun-kissed shoreline can speed past in just the blink of an eye, the sounds and scenes of the Azure Coast drowned out by the tigress purr of a SeaDoo jet ski. Whilst it may be easy to stumble into the belief that the Cote d’Azur is reserved for those seeking the sun and the sundries, the thrust and excitement of your first parachuting experience, with the wind in your hair and the land in your distant memories, is sure to rip those woollen sunglasses right off your eyes. Here are a couple of ideas, hand-plucked from the plethora of water sports that the French Riviera has to offer, ranging from toe dabbling along the coastline to jumping right in at the deep end like a true daredevil. Glisse Evasion– For the Adrenaline Junkie in all of us. Glisse-Evasion is a Nice-based water activities company with a wide range of experiences on offer, ranging from Banana Boats, Parachuting and Paddleboarding. Located just along the Promenade des Anglais, by Blue Beach, Glisse-Evasion is not hard to find, so don’t be afraid to pop along and plan an experience that will stay with you for a lifetime! Blue Addiction– For the more exotic Daredevil. Blue Addiction provides a freediving experience- that is essentially SCUBA diving but without the air. Don’t worry, you are in safe, professional hands! 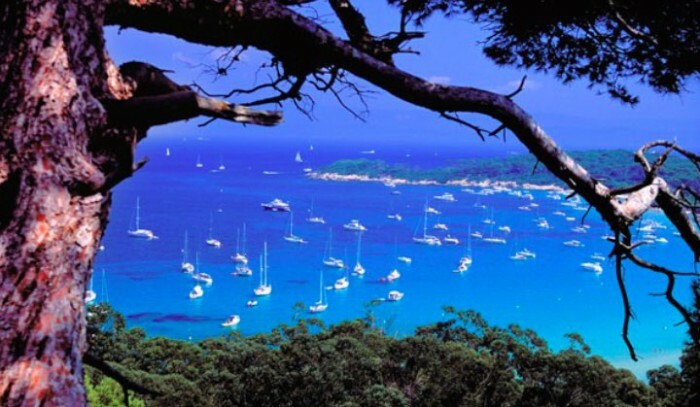 Blue Addiction is situated in La Londe-les-Maures, in between Marseille and St. Tropez. It is run by a team of professionals with some very impressive credentials behind them. 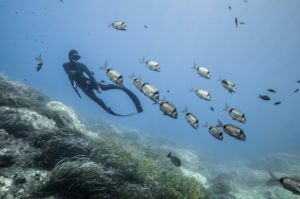 However, Freediving isn’t just an extreme activity; in Malaysia and Indonesia Bajau Fishermen freedive amongst the corals to make a living, with nothing but a lungful of air and a spear, they dive down to depths of 20 metres to seek out reef fish. Some may spend as long as 5 minutes underwater! So, if you’re on the search for a holiday packed full of adventures, adrenaline and long lasting memories, look no further than the French Riviera. 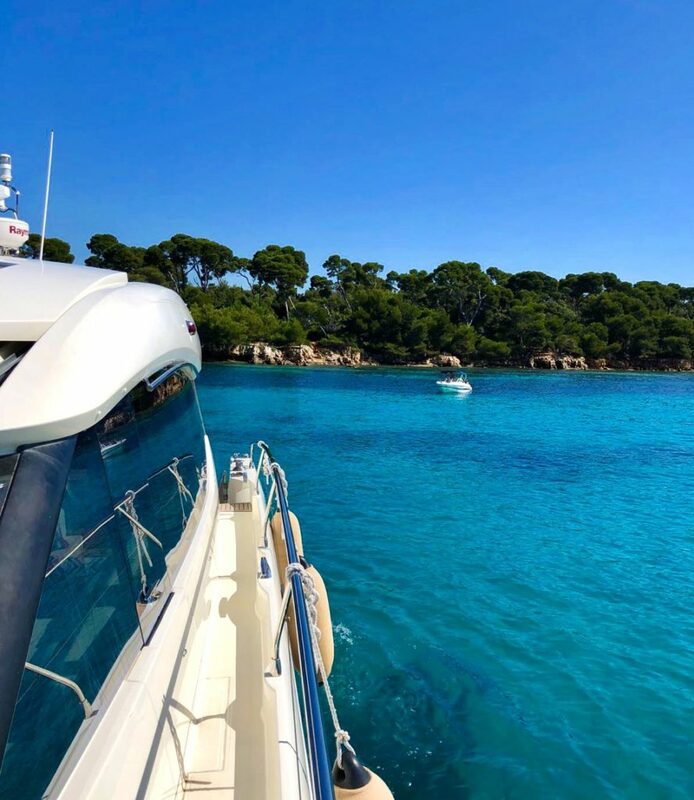 From luxury to energy; sun to salt spray; it’s safe to say that a French Riviera Yacht Charter with Boatbookings offers something for everyone! Centred around innovative technology and preservation, the rejuvenation of the Port Vauban in Antibes aims to deliver security for both customers and local business while being ecologically responsible and respectful of cultural heritage. Rich in historical architecture and culture, linking the area’s heritage to this futuristic port project will also be key in the integration of town and marina. You have been busy with work and life in general and have not given a thought to how you are going to spend your precious summer holiday. The weather has warmed up and suddenly a Mediterranean sailing holiday seems like just what you need to get away from it all! Although it is true that June is a little bit late to book your bareboat yacht charter for the summer, there are some great deals and some destinations that will be easier than others to find the right boat. All is not lost…. This blog continues the ‘day in the life’ series, as an intern at Boatbookings. 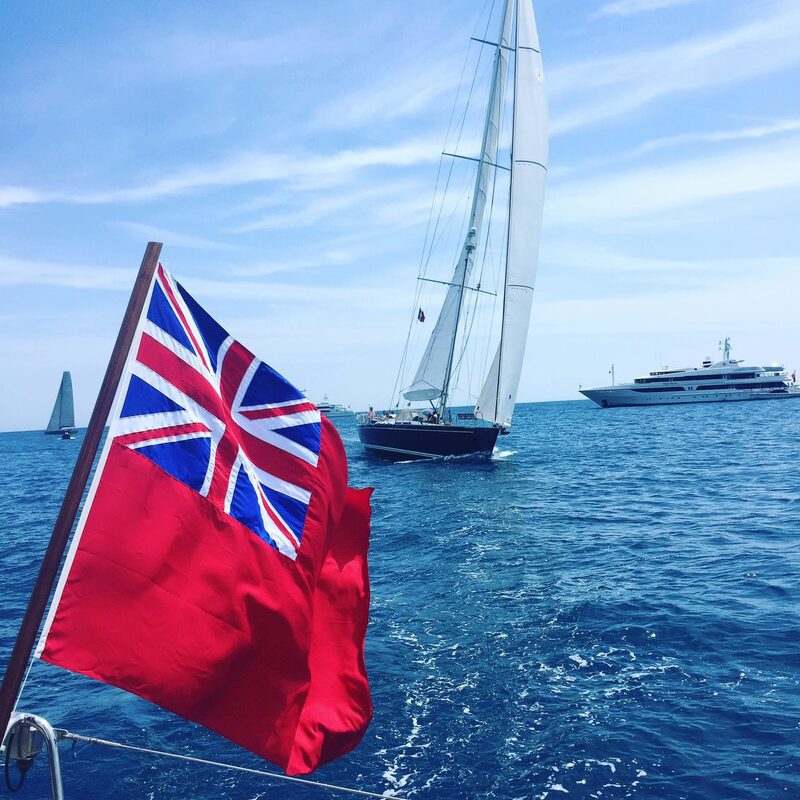 Without a doubt one of the best days so far was Friday 27th May when I accompanied Charter Broker Ben on a broker sailing day around Cap D’Antibes. Kristen Stewart completes photo call for ‘Personal Shopper’, ahead of red carpet tonight! Tonight the Film Festival excitement continues in Cannes with the world premiere of Olivier Assayas’ latest offering ‘Personal Shopper’, a French suspense drama featuring actress Kristen Stewart. This is Stewart’s second appearance in the festival so far, having starred in Woody Allen’s ‘Café Society’ on the opening night of the Cannes Film Festival. Stewart plays the lead in this mysterious ghost story which takes place in the fashion underworld of Paris. As the real life face of Chanel and Balenciaga, two prestigious French fashion houses, Stewart slips easily in to the world of high-fashion. Little is known about the ‘Personal Shopper’ storyline but it has been met with mixed reviews, it was even booed at a press showing on Monday! However, critics have praised Stewart’s performance in this interesting fashion piece. The full cast are expected at the red carpet premiere tonight, along with various other stars who have flocked to the South of France for this exciting ‘International Festival du Film’. Cannes is the hottest destination along the riviera at the moment, whether you want to stay at the Eden Roc Hotel or charter a Superyacht – live like a movie start and soak up the infectious atmosphere of the Cannes Film Festival.